Malvern Prep’s football team talked about brotherhood during summer camp workouts. They discussed the importance of believing in each other, in living out the adage of putting team before individual. About four months later, they were still citing brotherhood as a major reason for their success. One might wonder how many “downs” and how much “adversity” a team faced after finishing the season in record fashion Saturday afternoon. But in football, bumps and bruises are inevitable, as are injuries that require the “next-man-up” mantra that permeates the gridiron landscape. 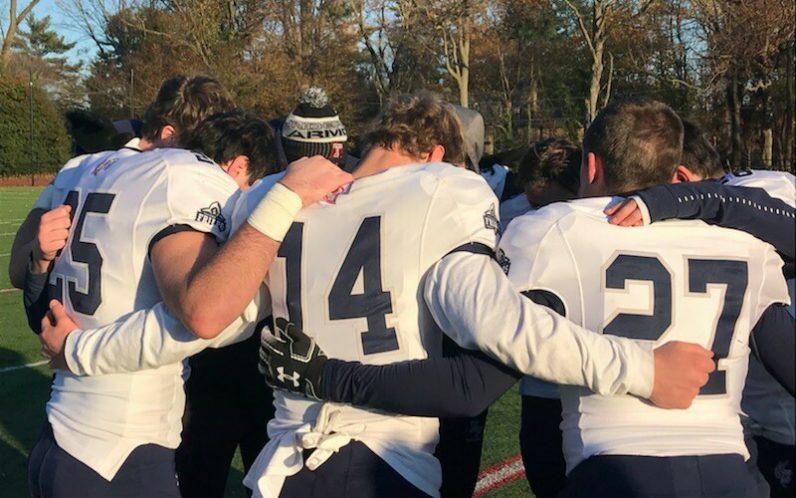 Against Inter-Academic League foe Chestnut Hill Academy, the Friars started slowly before taking over the final three quarters en route to a 41-20 victory. The win secured the school’s seventh perfect season, but its first-ever 11-0 campaign. Malvern also increased its winning streak to an all-time-best 16 when including the final five games from last fall. Because the Inter-Academic League is not a part of the Pennsylvania Interscholastic Athletic Association (PIAA), Malvern will not be able to participate in a postseason. If the Friars were allowed, there’s no telling how much success they would have. In addition to a perfect 5-0 mark in the Inter-Ac, Malvern defeated Catholic League Red Division squads La Salle (35-23) and Roman Catholic (49-17). The Friars also bested Avon Grove, McDonough of Maryland, Berks Catholic and New Jersey’s Peddie School. The latter win included a late comeback to erase a two-score deficit. Senior Nick Gueriera, nephew of the aforementioned head coach, pointed to that win as the marquee moment in a season full of similar highlights. Senior quarterback Drew Gunther, who fired 24 TD passes, cited diligence, dedication and unselfishness as key factors. 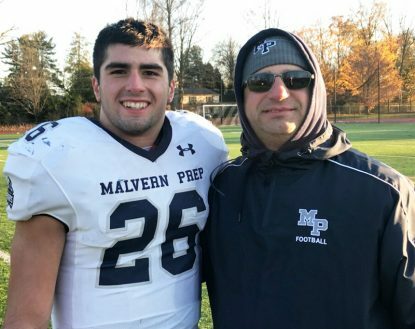 Malvern two-way senior star Keith Maguire touched the ball three times and … scored three touchdowns, giving him 14 for the season. His final contribution was a 60-yard touchdown jaunt with 4:27 remaining in the game. After Maguire dunked the ball through the uprights, acquiring a meaningless penalty, his teammates on the sideline went bonkers.